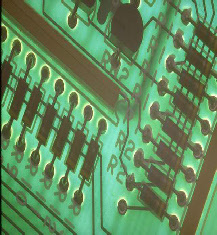 Benden Technology is a professional yet approachable electronics design consultancy based in South-East England. We focus on the supply of design services and technology advice to small and medium-sized businesses, where our flexibility and breadth of knowledge give our clients the competitive edge. Whether you are an organisation with no electronics experience or a design department looking for extra out-of-house capacity, we can help. • Analyse your requirements and suggest options. • Conduct all necessary research. • Deliver one or more prototypes for evaluation. • Provide ongoing support once the design is in production. - Some of the key technology skills we can bring to your project. - The application areas in which we particularly specialise. - A quick look at some representative case studies. If you see something of interest here, have any work you would like undertaken, or would like to discuss a new project then we would be delighted to hear from you. June 2010 - Major update to Benden Technology website.